The current storm ended up not being much of a severe weather maker and that does happen sometimes. This weekend looks very active with a major storm coming out of the Southern Plains and heading into the Great Lakes. Severe storms should begin in Texas early Saturday and move east into Louisiana and Mississippi. It appears that the bulk of the severe storms will hit Louisiana where a tornado threat will exists and it’s not out of the question we see large and damaging tornadoes. SPC has already put a moderate risk out and I can see how that becomes a HIGH risk Saturday due to the nature of the outbreak. The storms will spread east Sunday and we should see two areas of severe storms. One near the low center in the Ohio Valley where wind damage and a tornado threat will exists and another across the South where a wind damage threat will occur. The rotation swaths are fairly impressive and widespread across the South. 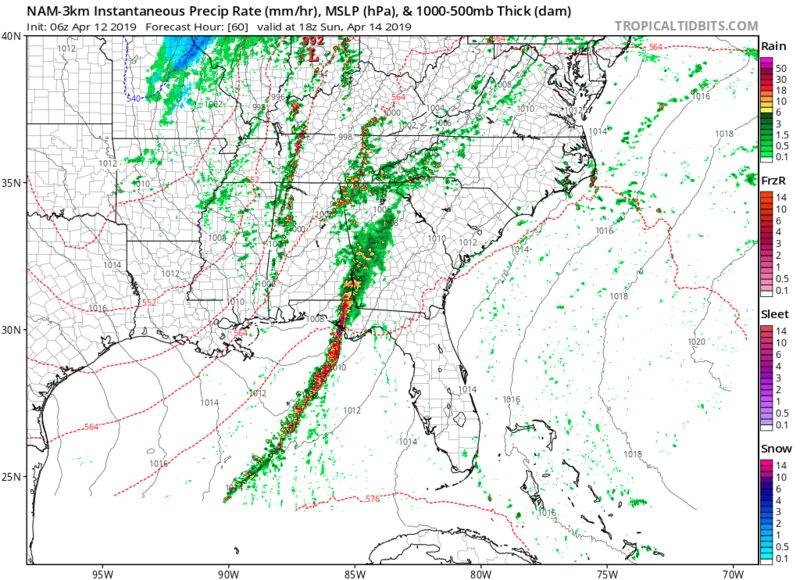 They represent where model thinks rotation within thunderstorms will occur that have rotation within the cells that can support large hail and/or large tornadoes. The image above shows the area of significant tornadoes may occur across Louisiana. 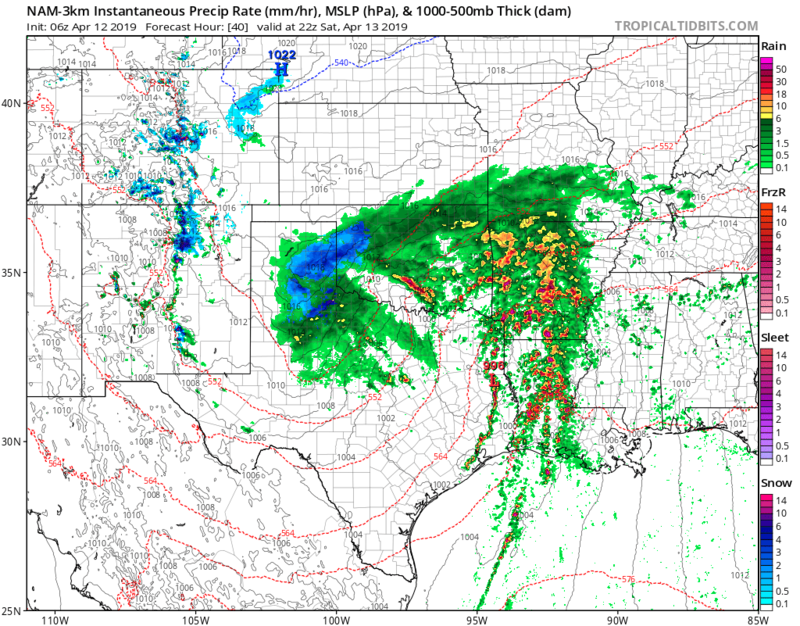 Simulated Radar From the NAM 3km Model.